Our usual Sunday trip leads us today to Dascio, a small part of the town Sorico (near Como), in the amazing marshy area called “Pian di Spagna” (literally “Plain of Spain”). Located in the northern part of Lake Como and overlooking lake Mezzola, a small basin created by River Mera. We will tell you about a town (as far as we know), not so much known by Italians (at least from other areas of the country), but actually appreciated by lots of foreign travelers, especially from Germany. 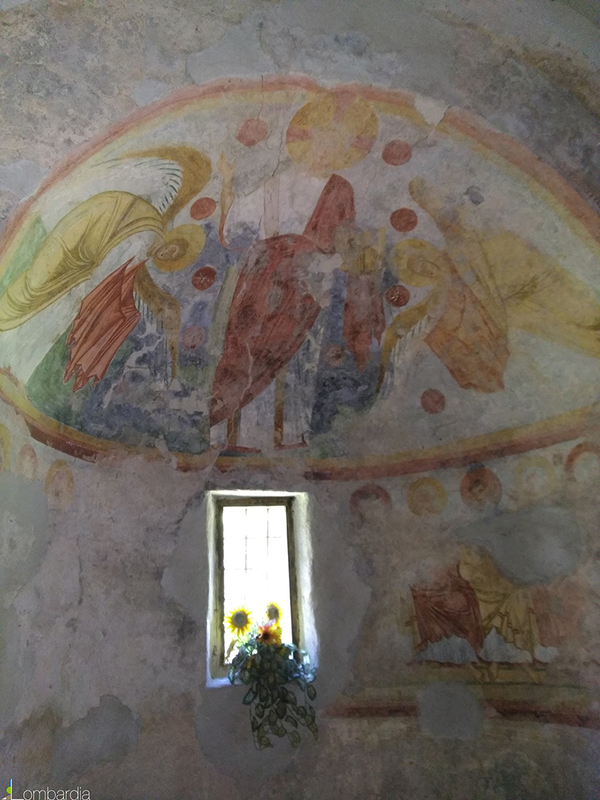 The goal of our itinerary is to reach the small temple dedicated to San Fedelino. Actually, we decided to explore this place as we found it randomly on Google Maps while in search of inspiration for a new trip in Lombardy. This basin in the north of Lake Como arouse our curiosity and as it was not too far from Brianza area, where we live, (just one hour and a half), we thought that it was worth a trip! From Dascio to San Fedelino, you have to consider two hours and forty minutes of walk (as it is written on the sign in via Bruga), with a final section of the path on a trail for experts through a difficult pile of stones. (We obviously suggest you to follow this trail only if well-equipped). If you prefer to reach the temple through a more comfortable and smooth road, you may consider some more forty minutes of walk through the silence of the woods. The path is of average difficulty with important up and down sections, but the view over the lake and over the marsh is worth the effort! 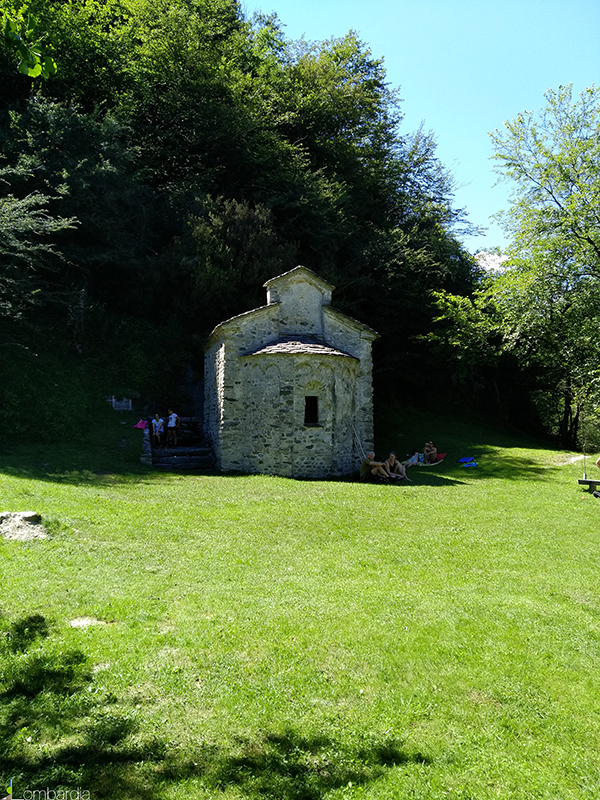 In the first part of the path between Dascio and San Fedelino, just twenty minutes from the start, you may go through the so called “Sasso di Dascio” (Literally “Dascio’s stone” at 277 metres above sea level), that stands out with its Italian flag up in the sky and its small altar. Here you may enjoy a breathtaking view that goes from the valley Valchiavenna till Valtellina. Once you reach the small San Fedelino’s temple, we suggest you to go back to Dascio by boat. Near the church you find a sign that gives you directions to the little pier at 150 metres from the temple and all useful telephone numbers to book your trip back to Dascio by boat. From the boat you will have the possibility to enjoy the lake from another point of view. You may see the hidden beaches and the cliffs bent over the lake. Why taking a boat trip back to Dascio? You will see one of the most beautiful waterfall over the lake. An alternative way to reach the temple and enjoy the lake from its waters is to rent single and double canoes from Dascio town centre. In around forty minutes you will reach S. Fedelino. A useful tip: These fabulous places are the ideal habitat for insects and mosquitos, for this reason we suggest you to take an anti-mosquito repellent with you and enjoy your trip!